The U.S. 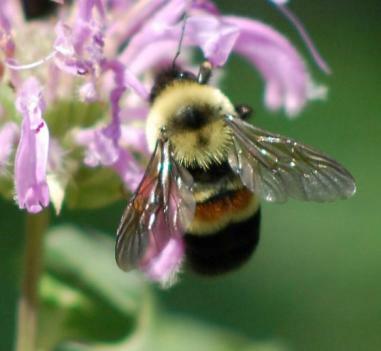 Fish and Wildlife Service is hosting a webinar Thursday, December 7 on the rusty patched bumble bee to present information about the Service’s conservation strategy; where to get information about section 7 consultations, project reviews, research needs, and surveys; resources that are available to you; and what you can do to help the bumble bee. This webinar is for anyone interested in conservation actions for the species (including additional survey effort or needed research) or who may engage in section 7 consultations or other project reviews on the species. We will provide guidance and contacts for getting information for your specific interests. Web access will be for the presentation only. For audio portion of the presentation, please use the phone number, above.